A large six foot by 49 inch white Olympic banner single-signed by the Hall of Famer Michael Jordan. 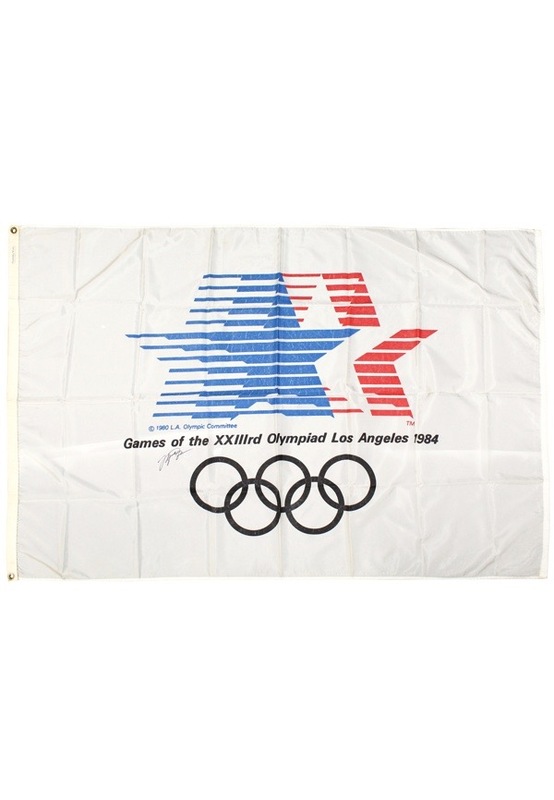 The banner reads “Games of the XXIIIrd Olympiad Los Angeles 1984” with the five Olympic rings beneath in black and a large logo in red and blue above. Jordan signed the banner in black marker and in our opinion the signature rates an 8. Adjacent to the signature is an Upper Deck hologram serial number “SHO24944”. Accompanied by a LOA from JSA.